This reading was awesome! I was given concise and precise dates as to when I will get married and more. It was in-depth and consistent and also accurate. I was led to tears by the results. At the end I was happy because I was told the truth. This man is for real. Try out the reading! I love it! Very happy with the report and the free consultation. Ashokji is one of the best astrologers I have ever consulted. His predictions are scientifically well calculated and logical and so most accurate. Another best thing is his remedy, it is so simple and very very effective. It is my own experience. Sir I am thankful for your all suggestions. I am very thankfull to Ashok Ji as his readings were accurate and the remedy had helped a lot i my life. Thanks a lot Ashok ji. 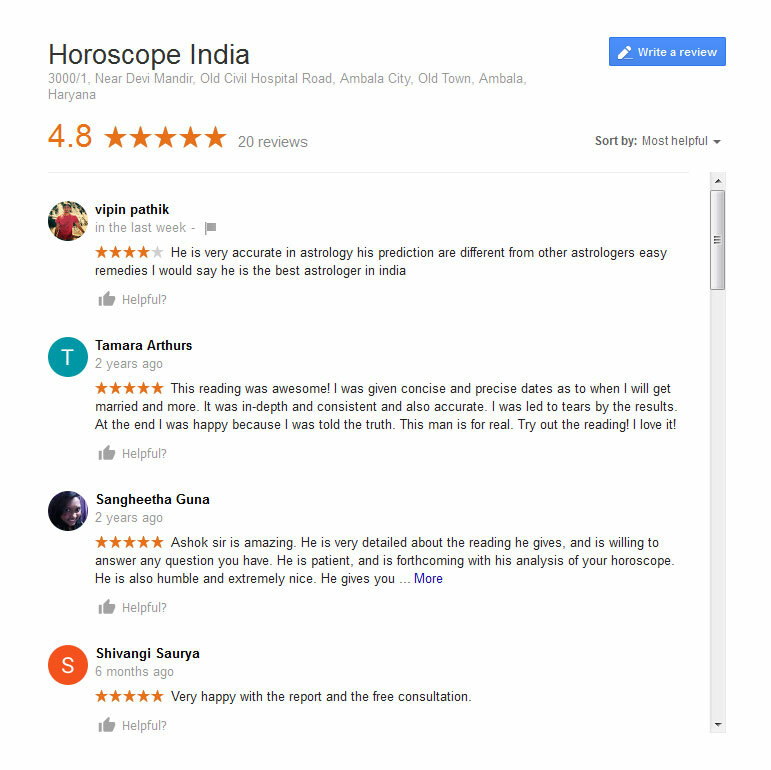 Meeting Ashokji is a gift, he is not like other astrologers – he really analysis the problem and provides accurate, easy solution(s). He is very humble and more than anything he wants to help people. Impressed with the Treatment.Very Happy Feeling After Specking with the Analyst.